The Smith-Appleby House is looking for YOU to join the fun! 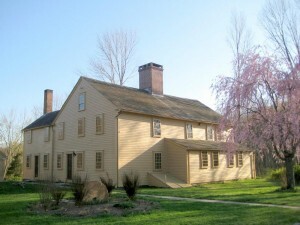 Join us at our Annual Membership Meeting on Thursday, April 14, and meet our family of volunteers to learn how YOU can become involved with the Historical Society of Smithfield and the Smith-Appleby House Museum. We’re actively seeking interested adults, teens, families, students, scouts, kids — YOU — to join the fun, programs, and activities that are preserving the Smith-Appleby House as a living museum — as well as educating our local school children and residents about the history of Smithfield and Rhode Island. Drop by the meeting to learn more. We would love to see you! And refreshments will be served. Read all about the House and our activities at https://www.smithapplebyhouse.org. You can also find us on Facebook at http://facebook.com/SmithApplebyHouse and on Twitter at http://twitter.com/SmithAppleby.